Popular blogger Tasha K. claims the ‘Middle Child’ rapper’s team threatens to take legal action against her if she runs a story about his alleged infidelity on her website or YouTube platform. 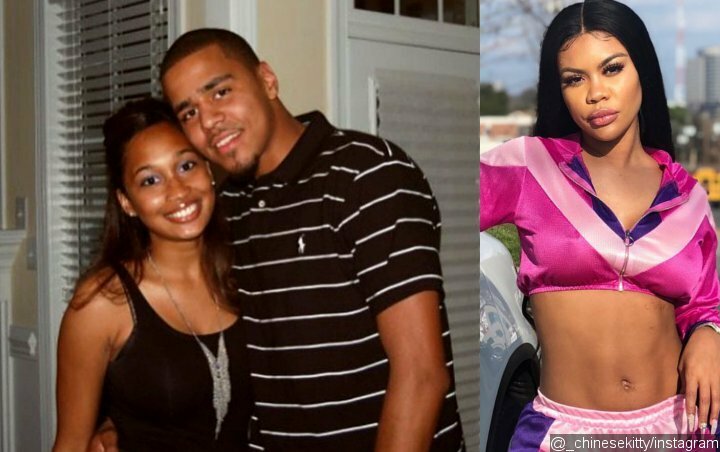 J. Cole is the latest hip-hop star caught in a cheating scandal. The rapper, who recently released his new single “Middle Child”, is accused of sleeping with “Love & Hip Hop Miami” reality star Chinese Kitty while being married to Melissa Heholt, his wife since 2015. A blogger named Tasha K. broke the news on her website and YouTube platform. She claims that she received the tip as well as pictures supporting the cheating allegations last December, but she didn’t publish the story until recently, after J. Cole’s camp somehow heard that she’s got the information and threatens her with a cease and desist letter if she releases anything related to his alleged infidelity. J. Cole married his longtime girlfriend Melissa Heholt in 2015. They both attended St. John’s University. Melissa is the Executive Director of the Dreamville Foundation. While the pair have kept their personal life very private, the “Deja Vu” hitmaker revealed in a May 2018 interview that he and his wife have a son together. His cheating allegation aside, J. Cole has enjoyed a new wave of success after releasing his new single “Middle Child” in January. The song peaked at No. 4 and No. 2 on Billboard’s Hot 100 and Hot R&B/Hip-Hop Songs chart respectively.